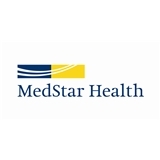 MedStar Georgetown Family Medicine - Spring Valley (Washington) - Book Appointment Online! Excellent. Saw me right away, and was thorough and kind. Highly recommend. My visit was truly welcoming seeing it was my first time there. All doctors are super nice and friendly! I didnt want long to be seen they were very proffesional and made me feel welcomed. I highly reccomend this doctor to anyone! Dr. Lin and staff are fantastic. Highly recommend. Dr Sarah Kureshi was thorough in reviewing my case after she examined me. She took a holistic perspective in treating me and she advised me how to proceed with my diet and exercise as well as with further consultations. she took hert time and I was not rushed. I highly recommend her. She was nice, patient and competent. Highly recommend!